Working for peace in the midst of difference. Luton and the World. Challenging the spread of evil with simple acts of kindness. When Father Jaques Hamel was murdered on Monday in Rouen you could almost feel the hammer blow as the terrorists sought to drive the wedge between the people of our world further apart. In contrast what happened on Sunday in two Luton Churches stirred hope for many and showed that peace can win the day. Across France on Sunday Muslims attended church to expresstheir solidarity. But it didn't stop there. 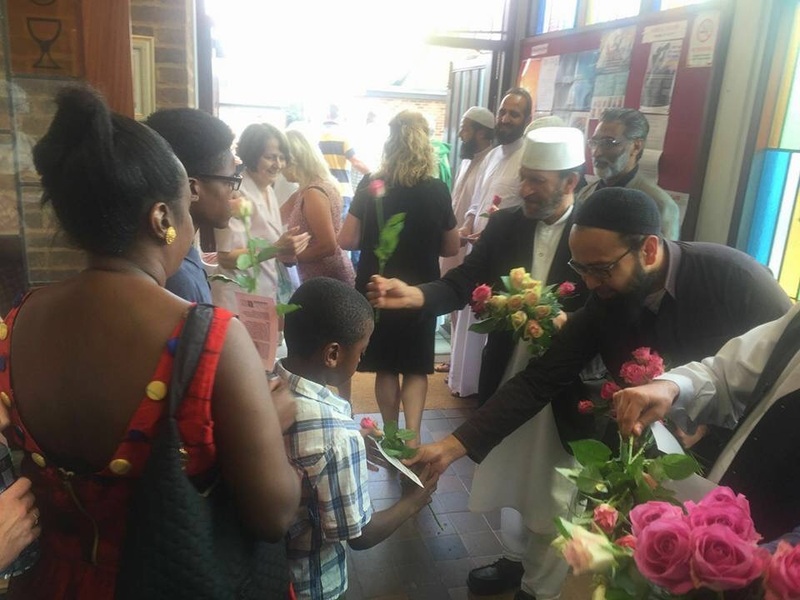 A large group from the Muslim community in Luton responded to the atrocity by visiting local churches in an act of solidarity, and to say that those who seek to divide us will not win.. 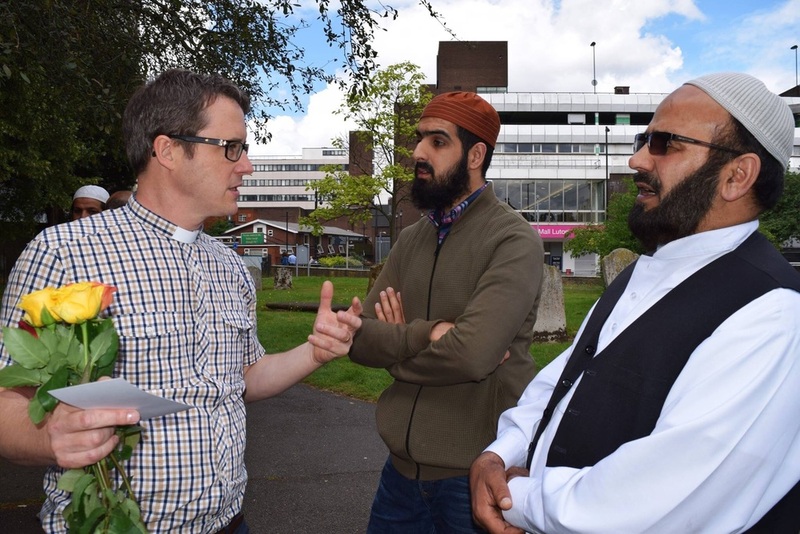 The group of religious leaders from the across the town's mosques, men, women and children-including some who had personally felt the cruelty of anti-Muslim hatred visited Holy Ghost Church and St Mary's Church. The initiative was organised by Rehana Faisal and supported by the town's Council of Mosques. 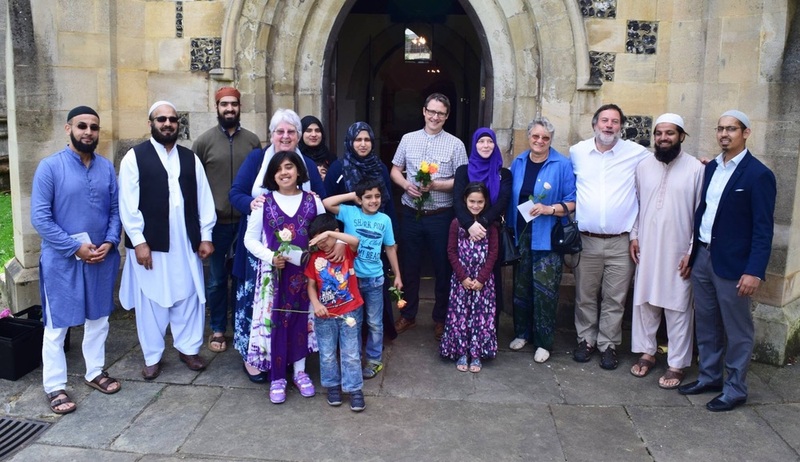 They were welcomed by Rev Mike Jones the vicar at St Mary's and Father Tony Harris at the Holy Ghost, and the congregations enthusiastically applauded them. As they gave away flowers, many warm conversations took place around the churches. Addressing the congregation at the Holy Ghost, Tanvir Munir, from Luton Central Mosque, their neighbour just a hundred metres down the road, said "We share your pain and are committedto standing together in solidarity against such evil. We remain true to the covenant made by our beloved Prophet Muhammad (Peace Be Upon Him) in which he declared to Christians that "You are in my protection and my covenant and my security from any type of despised things." 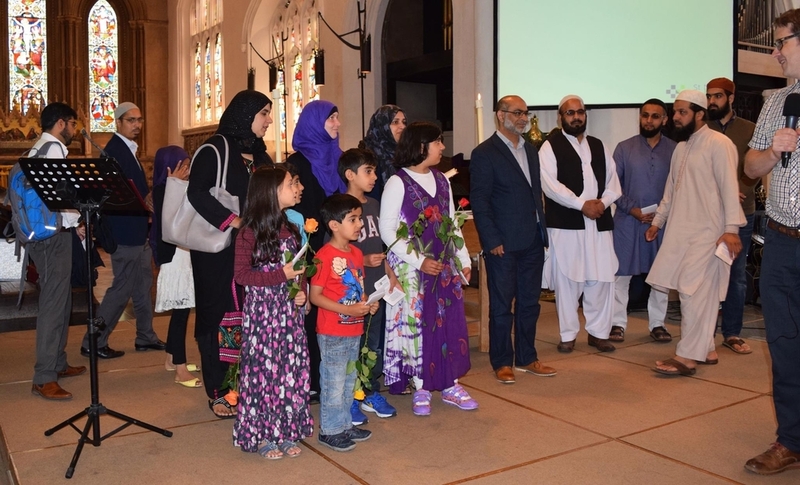 At St Mary's, Ishaq Kazi from Noor Masjid added "We pray our communities are granted the strength to continue to respond to this falsehood with truth, to hatred with love, and words of division with solidarity." 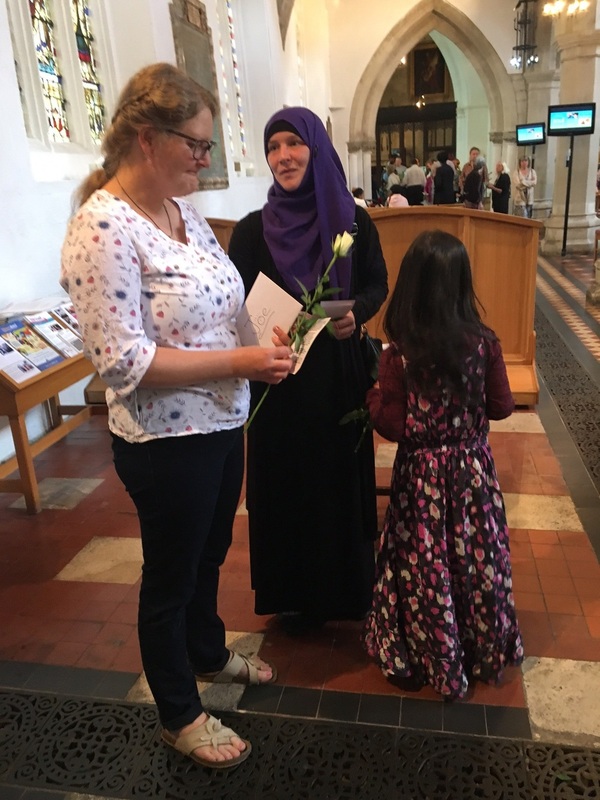 Ulrike Hunt, a member of St Mary's wrote afterwards: " I was moved to tears at their message that the Muslim community of Luton is committed to countering those hateful actions with love. This is what I love about Luton!" Sister Maire Hayes, interfaith advisor for the Catholic Diocese of Northampton was at the Holy Ghost Church when they visited. She enthused: "It was such a simple gesture but with real significance. Our Muslim friends response shows how on both sides of what is so often felt to be a divided community we want to work for peace, to learn to share our space, and to work for harmony in our diversity." Rev Mike Jones said of the visit: "In light of recent events we were greatly encouraged by the visit. It is my deeply held belief that we can remain true to our faiths while also being peaceable and hospitable people to those who are not like us. The antidote to the distrust and anger in contemporary society is not violence but attitudes and actions that cross boundaries and encourage people to listen to one another." Distributing flowers at Holy Ghost Catholic Church. Peter blogs on his peacebuilding work in Luton and sometimes beyond. .